Now Available in Soft Blue Glow in the Dark!!! This is the most exact replica of "The Flame" from "The 100" available. Anywhere. Period. 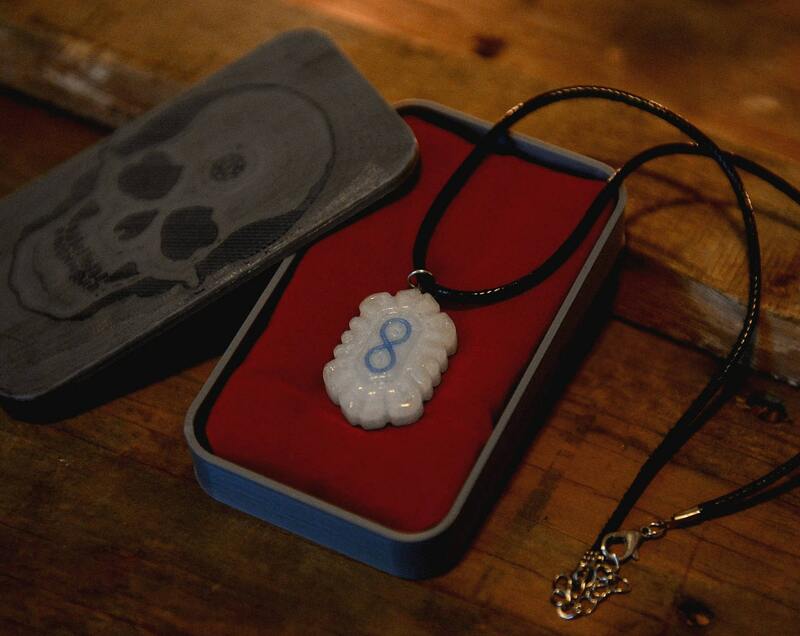 The display case with inset skull is available as a separate option and comes with custom cut foam support in a high quality red velvet satchel. Made of durable ABS, the display case ready for you to transport the spirit of the commander to wherever it is needed most. 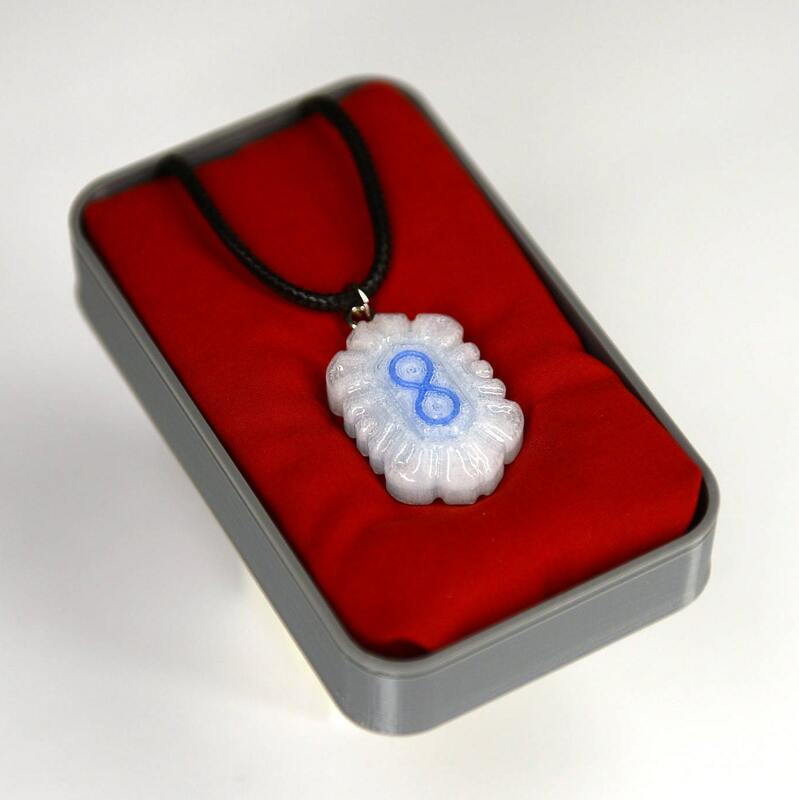 Selecting "Necklace and Case" will come with the necklace pre-mounted in the display case with red velvet satchel and custom cut display support foam. Selecting "Necklace Only" will come without the display case and comes packaged in a clear gift box wrapped in the red velvet satchel. Selecting "Case Only" will come without "The Flame" necklace and includes the red velvet satchel and custom cut display support foam. 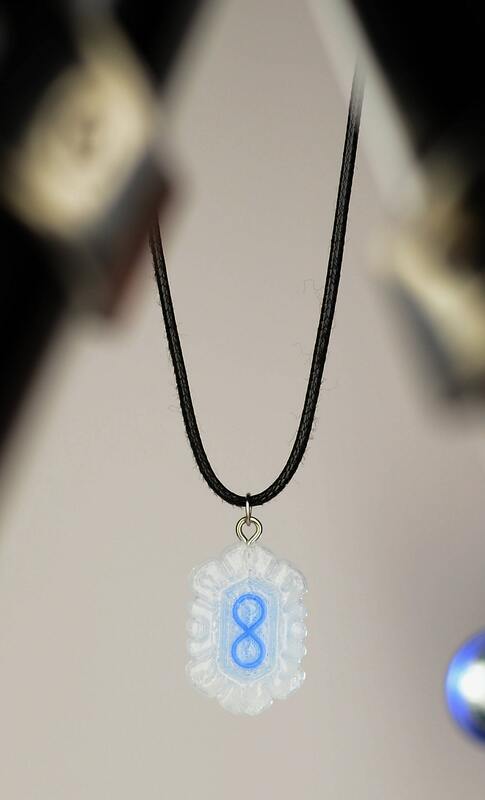 Glows with a reassuring blue hue in a dark room after being held to a light source. For best results, use a strong led flashlight or black light for a faster and longer lasting charge. 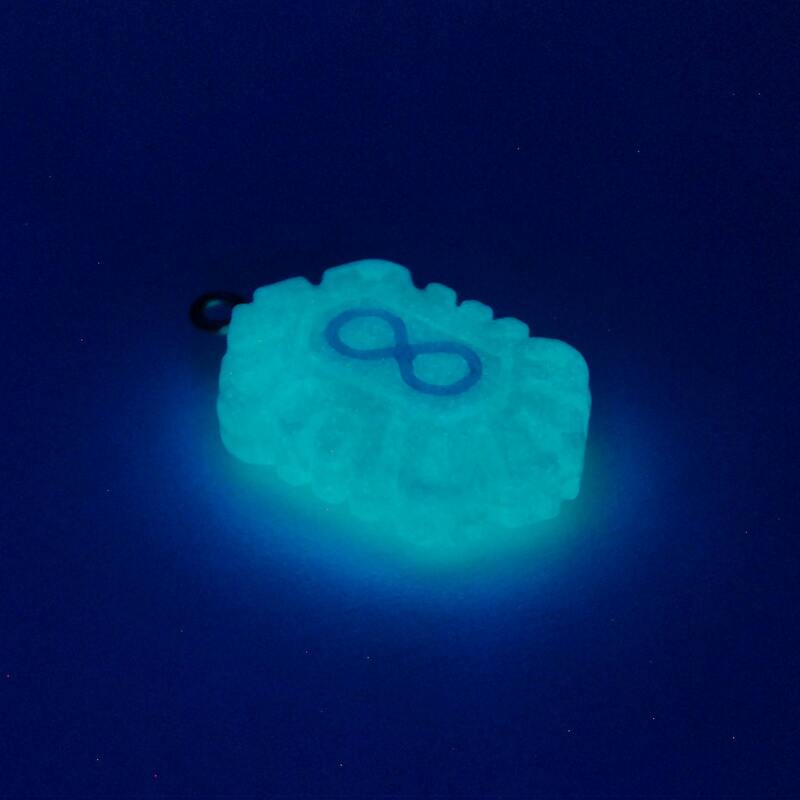 Due to the opaque nature of the glow material, the internal circuitry will not be visible in the glow in the dark version, but it is still there for the sake of authenticity! Our realistic props are designed for the discerning cosplayer, roleplayer, or fan who is interested in an accurate replica rather than a hurried approximation. Comes with complimentary 18 inch adjustable necklace and includes clasps. The necklace comes mounted on a jump ring to allow easy swapping onto other necklaces, bracelets, or key rings. "The Flame" can easily be interchanged from its necklace and used or displayed separately by removing or reinstalling the eye-screw! 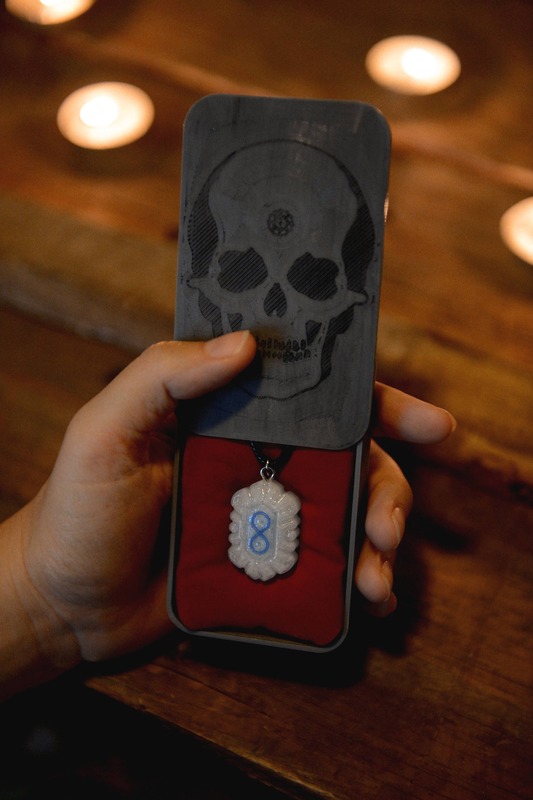 This is the top-rated "The Flame" necklace on Etsy and you will be hard pressed to find anything comparable. Very nice! Detailed well. Thank you! Love it.